This weekend I attempted one of my first baking experiments of the new year – specifically, macarons which I loved eating in Paris but always figured that a mere American mortal such as myself could not make the same pastry. And I wasn’t entirely wrong. Ever the type-A student, I had to thoroughly research macrons (because I am also super cool) and turned to the ever-wise queen of cooking/entertaining/folding a fitted sheet: Martha Stewart. Her website has a basic macron recipe with a pretty helpful video which you can find here. Macarons are a gluten-free (but don’t worry- there’s a ton of sugar in them!) sandwich cookie that actually originated in Italy in Catherine de’Medici’s court, but are now most associated with France. Basically, they involve sifting powdered sugar and almond meal and then eventually mixing that with a meringue and baking them. Then pair up the cookies by size and sandwich them with a filling (that’s usually included with the recipe). The first time I made these, I used the Martha Stewart recipe, and it did not go super well. In the video, she talks about removing the air bubbles from the meringue – a suggestion I took very seriously and over-whipped the mixture right before piping it onto cookie sheets and the individual cookies eventually spread together. I baked them anyway, but they definitely were not a success so I threw them away and started again. 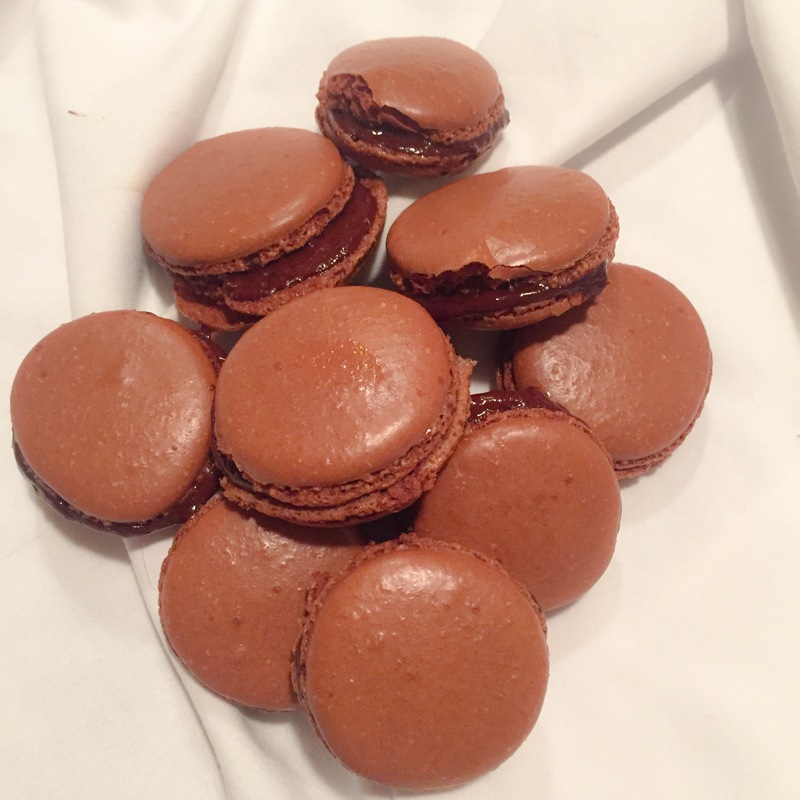 The second time I made macarons, I decided to go with this chocolate recipe that I highly recommend. This time the mixture thickened properly, and they came out pretty (and delicious)! This summer I spent the Fourth of July at Absolute Monarchy HQ: Versailles (which you can read about here). Some of the people traveling in Paris with me had already been there and were not impressed so I decided to go on my own and had an amazing day! (Seriously, don’t miss it if you’re ever in Paris.) 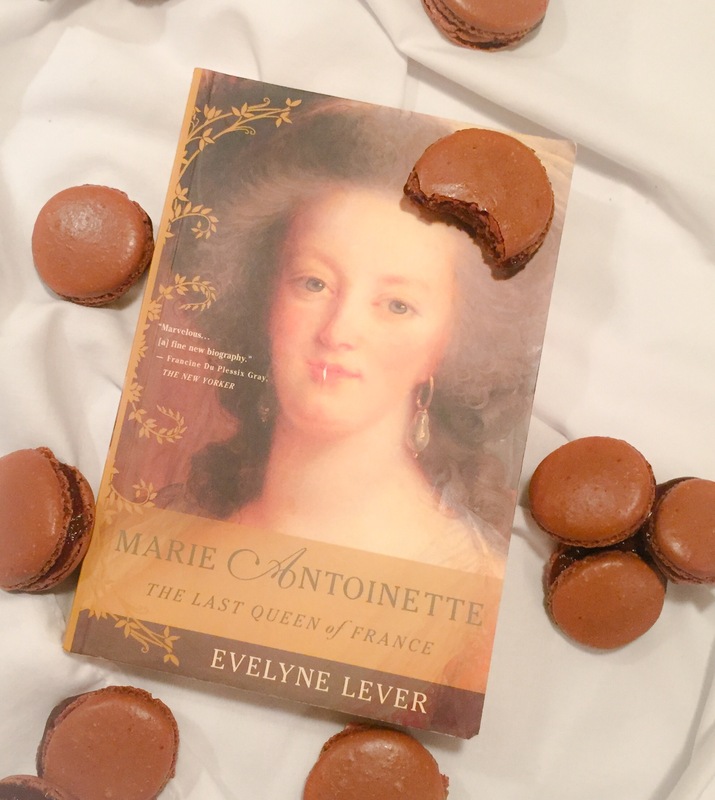 I went because I had re-watched Marie Antoinette and was curious about the French queen’s life at the palace which led to my buying Marie Antoinette: The Last Queen of France by Evelyne Lever…and then letting it gather dust on my bookshelf once I got back to the States. Earlier this year I finally finished the biography, and it was so good! 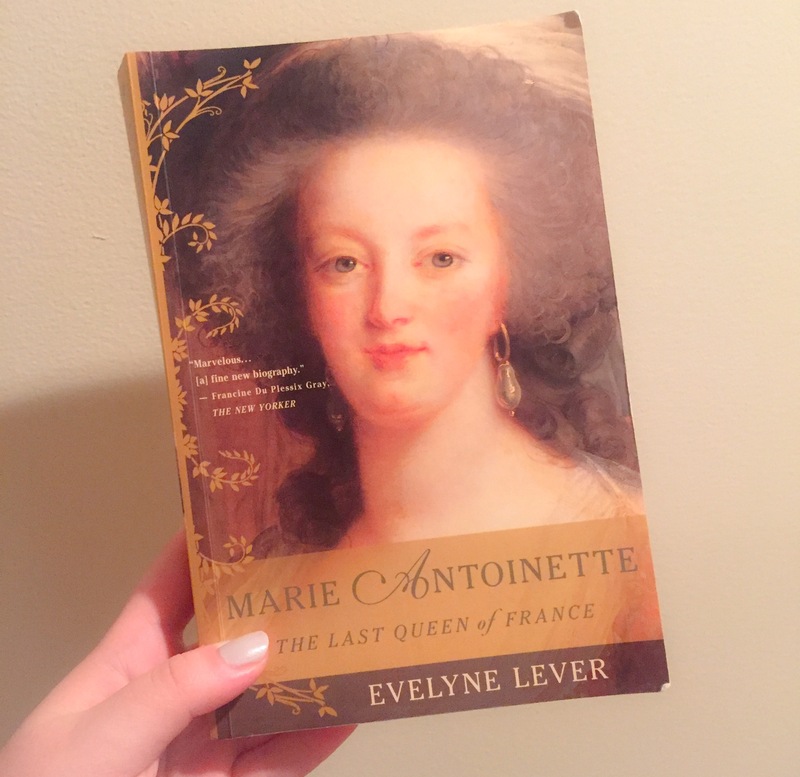 I don’t think I really need to go over the story so I’ll say instead that Lever really captures the arc of Marie Antoinette’s life: being a young bride to an over-spending French queen to a prisoner during the French Revolution. 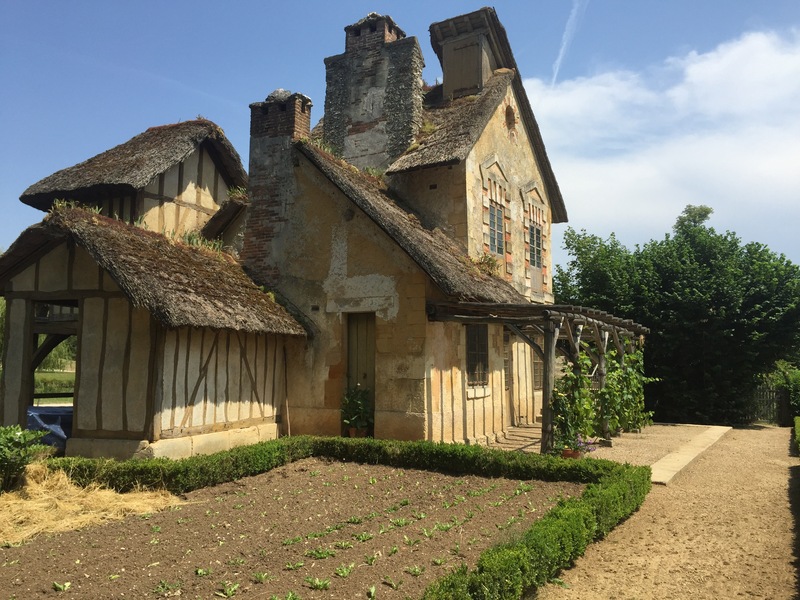 My favorite story is about how she built a fake peasant village on the grounds of Versailles so she could pretend to be a milkmaid…while the French people were struggling to put bread on the table. 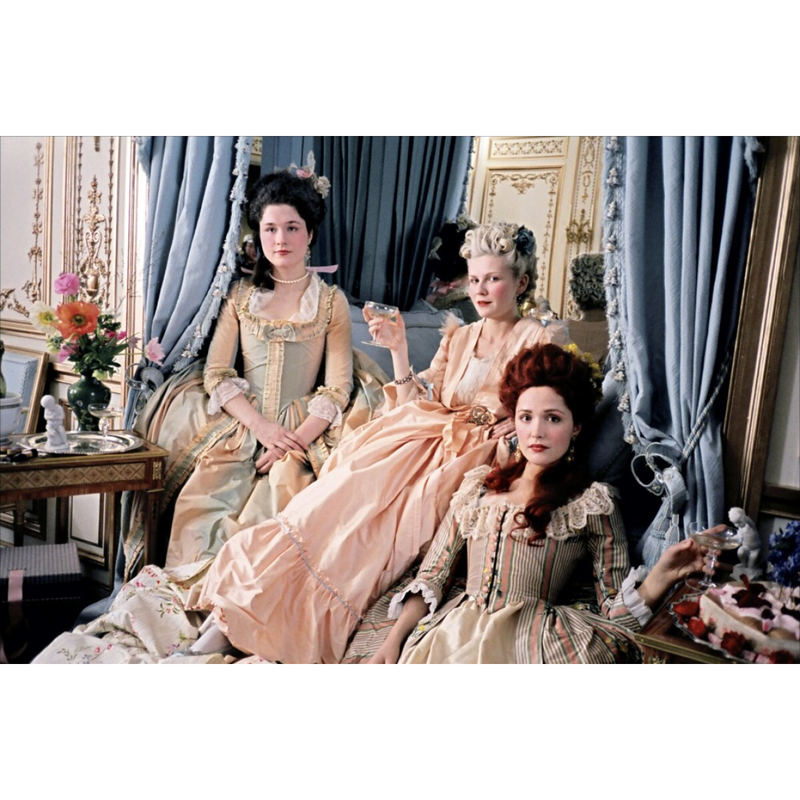 Check out Sofia Coppola’s Marie Antoinette (2006). I didn’t love this movie the first time I saw it years ago, but I watched it again last March and really enjoyed it. So much so that I wrote an English lit research paper on it. Unlike Lever, Coppola isn’t as interested in meticulously examining the queen’s life. Instead she tries to impress to the viewer how extravagantly the French monarchy lived while still making Marie and Louis XVI sympathetic figures. Macarons were not as difficult to make as I assumed, but they were not super easy either. Some recipes say you can use ground almonds instead of almond meal, but having tried it both ways, the almond meal is so much better because it’s easier to sift. Follow the time suggestions on the recipe – they really help. I am not good in baking too.. I am a beginner in baking but still I will try the recipe that you recomend!! Thank you- I’ll check it out! Got the opportunity to sample the second batch-wonderful!